So many lovely memories of the Lebus factory. Of course, they were such big employers and all those I knew who worked there were very happy and were so well looked after – just like family. 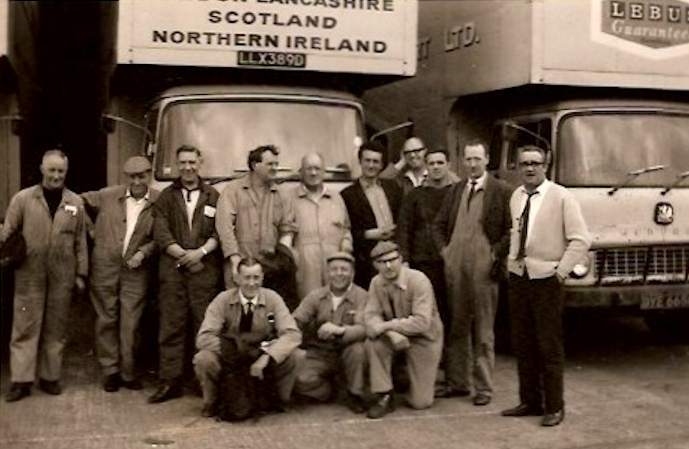 My father, Jim Hills drove the lorries to and from the docks picking up the trees to be made into furniture. In those days (early 1950s to 1960s) there were no containers and all the wood had to be craned and manhandled from the ships to the docks and chained onto the flatbed lorries. My uncles Arthur Carrington and Sidney Duvall also worked there until, I think, the factory in Ferry Lane closed. My father is kneeling on the left. I’m afraid I have no idea who all the other gentlemen are. 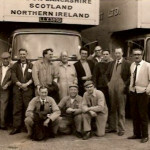 And, although I remember he drove the flatbed articulated lorries to and from the docks, picking up tree trunks, he seems to be with the delivery guys in this photo – I suppose he drove whatever they needed of him. Mum never liked him being away from home overnight though so, as far as I know he never did the long distance deliveries. 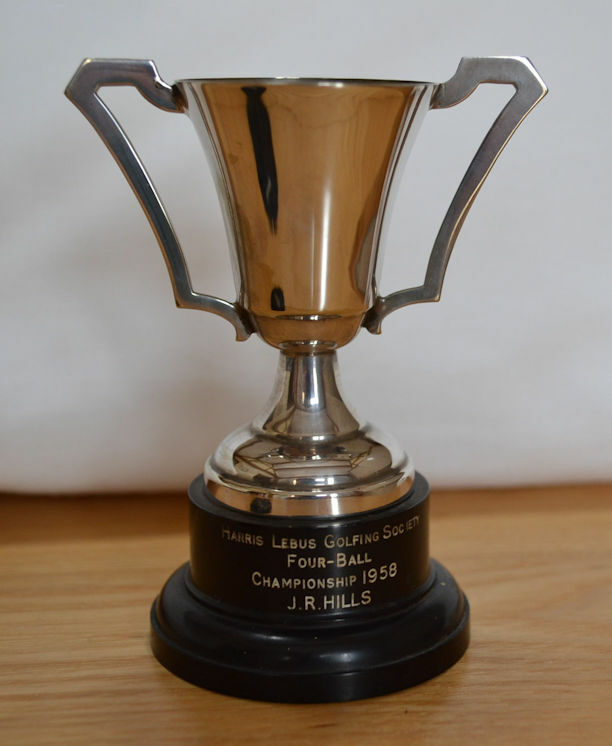 I also have a little trophy my father won when playing golf for the Harris Lebus Golfing Society. 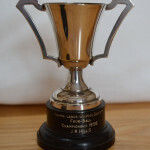 He actually won many tournaments but I only have the one trophy, my nephew (Dad’s grandson) has all the others. I can remember that these golf tournaments always seemed to coincide with our annual holiday in Herne Bay at the end of June and Dad had to leave us for the day to play his beloved golf. My one abiding memory is of missing the childrens Christmas party each year through tonsillitis and my brother telling me what fun it was!